If you would like to exercise, socialize, see our gorgeous city by night and fight for a cause, this is the perfect event. 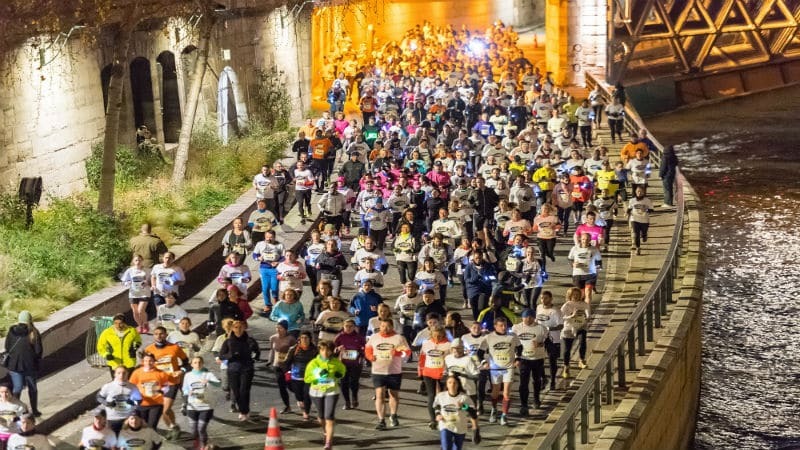 Get your running shoes ready: la Course des Lumières is coming to Lyon on November 24th 2018! This event, which used to be known as la Marche des Lumières, is at its 5th edition. Its goal is to help fight cancer by donating all the proceeds, collected in Lyon and Paris, to research centers: Institut Curie and Centre de Lutte Contre le Cancer Léon Bérard. Every year, they manage to earn over one million euros worth of donations. 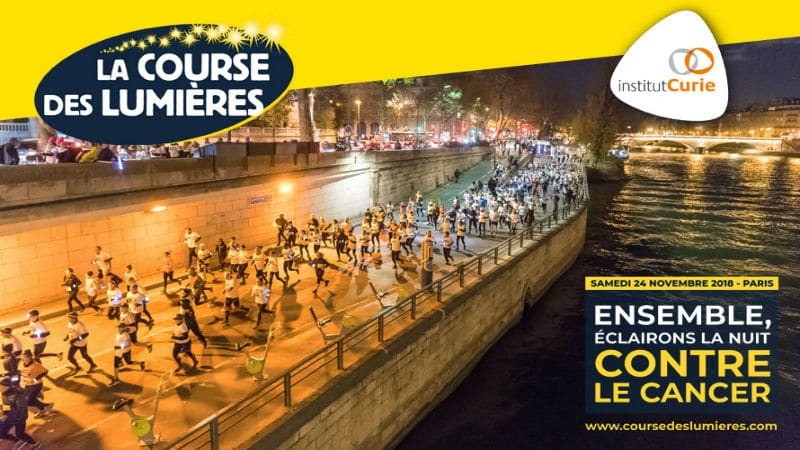 Course des Lumière’s goal is to collect 200,000 €. Two courses are offered: either a 4-km walk or a timed, 10-km run. There are two ways you can sign up: as a “solidaire” or a “ambassadeur”. The first is more expensive but the second gives you access to a donation platform, where you can ask for help from your friends and family to reach your personal goal of 100 €. This year, Centre Léon Bérard’s goal is to collect 200,000 € to support research and the development of innovative treatments. The whole event lasts from the moment you pick up your signs, at 4:30 PM, up until the awards ceremony. Everything ends at 8:45 PM and the event includes concerts, entertainment and a group warm-up within the “village”, which will be located in the city center. Signing up as a “solidaire” participant will cost you 30-40€ for the walk or 35-45€ for the run, depending on when you buy your tickets. “Ambassadeur” reservations are 10€ for the 4-km course and 15€ for the 10-km route. There are even special offers for those of you who would like to sign up your whole company, which is a great bonding exercise. News on the exact routes, and the maps that go with them, should be up on the website shortly. eget non lectus mi, sit fringilla tristique leo.